Well, I still didn't get another job, I experienced the loss of a family member and I struggled on and off with my anxiety for a little while. I unintentionally grew apart from certain people, yet gained some amazing new friendships. My blog turned 2 years old (and hit 500 followers), I went to some amazing events and travelled to the most beautiful places. 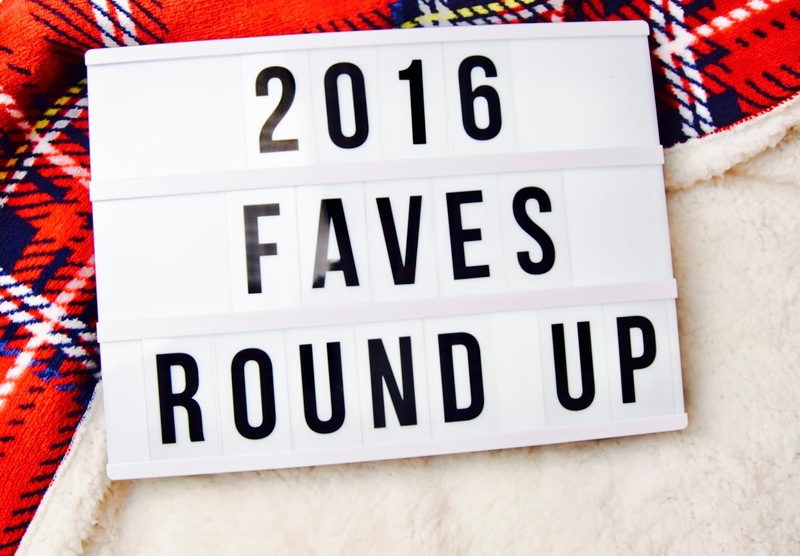 That's in a nutshell, but here is my annual in-depth round up of what I loved in 2016! Beautyblender - Here - OMG. This has to be the best thing I've ever invested in. It's completely changed the way I do my makeup and more often than not, I will reach for this over any of my brushes. 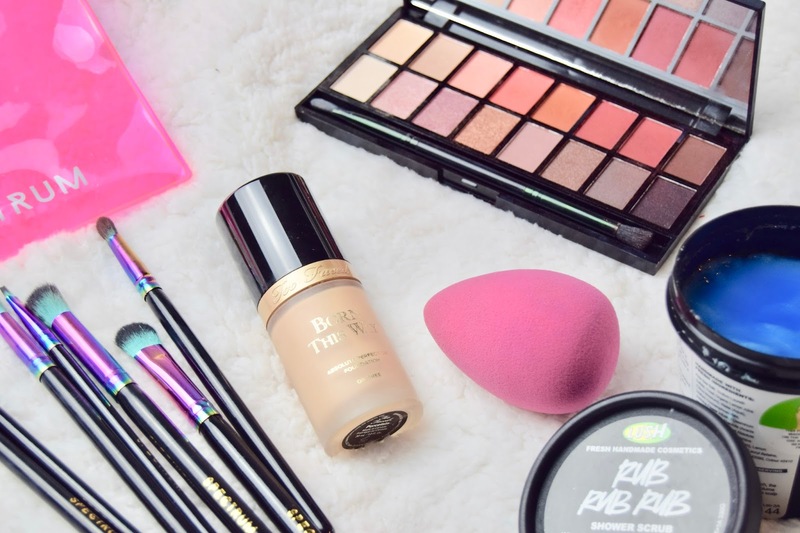 It's amazing how flawless it makes your foundation look and 100% worth the money! Too Faced Born This Way Foundation - Here - Aka. My favourite foundation ever. I picked this up in Barcelona this time last year and it's so wonderful to use. The consistency is perfectly creamy and it blends into your skin like a dream. Makeup Revolution New-trals Vs. Neutrals Palette - This was actually a Christmas present, so I haven't been using it very long. Either way, the colours are gorgeous, super pigmented and the blend out really easily. It's so affordable and definitely my favourite palette this year! Lush Rubrubrub Body Scrub - Here - I think this was in my January Favourites last year and I've never looked back since; it's literally the only body scrub I religiously use. It smells amazing, it's not too abrasive and it also moisturises your skin in the process. Spectrum Collections Siren Smoke Set - Here - Why, oh why has it taken me this long to get the Spectrum Brushes? When I started using these at Christmas, I realised the reason I sucked so bad at eyeshadow before is because I had such poor quality brushes. These are so soft, blend eye shadow incredibly well and make all those fiddly eye looks suddenly seem really easy! They are also b-e-a-utiful! According to Spotify, my most listened to album in 2016 was Colour Blind by Seaway. It definitely is at the top of my favourites for last year, it's SO good and I love seeing how far they've come! Can't wait to see them again this month! Yes, The Dangerous Summer did break up ages ago but oh my god. This album has really stuck with me this year, it's such a go-to album for whatever mood you're in. I will listen to this when I'm happy, sad or just want to chill. I really hope they get back together and tour someday! I've always loved Yellowcard (and this album) but this year I got the chance to see them twice! So listened to this to it's full potential knowing that any show could be their last! Needless to say, it was so worth it! Knuckle Puck & Seaway - Southampton Joiners. I left my phone in the car for this gig, but honestly, it was so much fun! It's surprising how much you enjoy a gig without your phone! Seaway slayed the support and I can't wait to see them again in a few weeks headlining their own tour (..FINALLY!). Knuckle Puck were also really good that night too! Yellowcard - Concorde 2, Brighton. This was actually fairly recent and a very spontaneous gig, but one of the best I've been to this year! I'm sad it was a farewell show for Yellowcard as they're an amazing band, but what a send off! 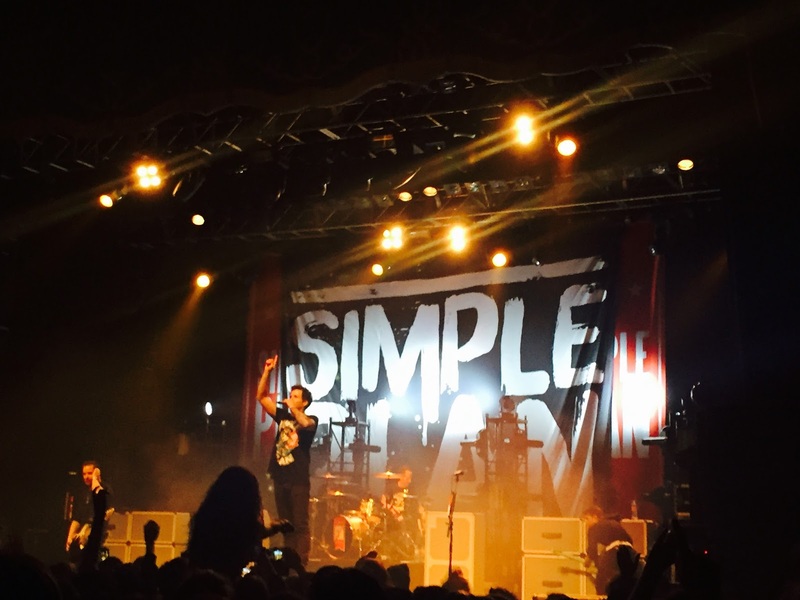 Slam Dunk Festival 2016 - Hatfield, Hertfordshire. Other than that, I've been to see so many bands this year I can tick off my bucket list such as Sum 41, Good Charlotte, Simple Plan, Nickelback, Motion City Soundtrack.. There's so many I can't even remember! Either way, I know they were all so much fun! Mykonos was such a relaxing holiday this year! In 2015, all of our holidays were really full on, making this the perfect sunny getaway! I wrote all about it here and also made a video on it if you wanted to see the photos and how stunning it is for yourself! Needless to say, I highly recommend it and I would definitely go back! The Missing - Ooooooh my GOD! This is hands down the best and most gripping series I have ever watched! After each episode I was desperate to see the next and it kept me on the edge of my seat the ENTIRE time! I literally traipsed the internet for theories or seeing if the next episode had magically leaked, that's how much I loved this! I'd definitely recommend this if you're into a bit of a mysterious thriller (at least now you don't have to wait a week for the next episode!). Planet Earth II - Way to go BBC for creating the most interesting and popular, yet amusing documentary of 2016. David Attenborough is literally my favourite commentating human! Can we just give him eternal life or..? 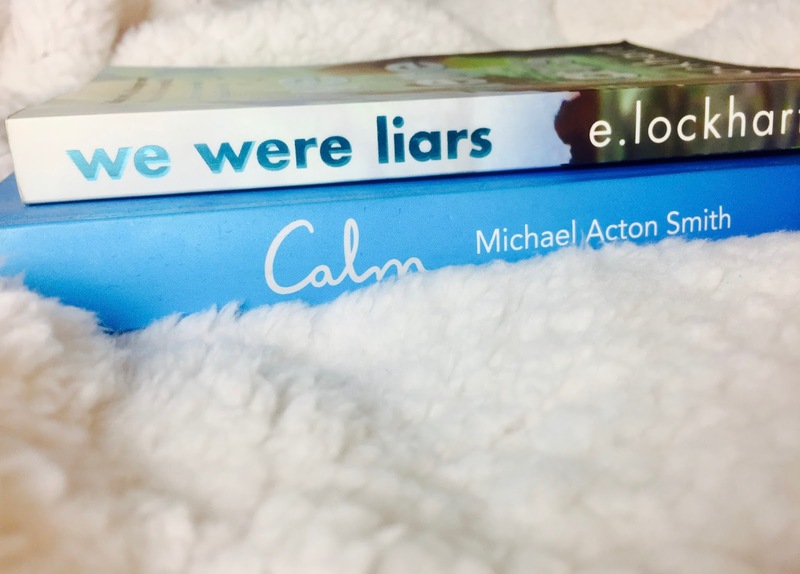 Calm by Michael Acton Smith - This book has really given me life this year. It's full of uplifting photo's, mindfulness tips and activities to help rest your mind from those anxious or negative thoughts. I've found it's really helped me and it's one of those books I can always turn back to if I'm in need of some re-assurance. We Were Liars by E. Lockhart - I read this entire book on holiday in Mykonos last year and it had me hooked the entire time! I've always got time for a bit of poolside reading! It's difficult to explain this book without giving the story away, but if you like a bit of mystery and romance, this is the book for you! Spoiler: The ending is a shocker! Ps. She started a blog this year (click here.. you know you wanna follow her!) Super proud friend alert! ..And all of the amazing bloggers I got to meet so many lovely people this year (online & in person) and had the absolute pleasure of hanging out with most of them. There are too many to name, but I'm sure they know who they are. I love them and I can't wait to spend more time with them this year! This also includes the my family, friends and my amazing boyfriend who have been super supportive as always this year! Big love to them! At the start of last year, I attended the Brighton Blog Meet. This event was organised by my lovely friend Laura (Lolaandbehold), who I have now seen at least 3 times this year! She's an absolute babe and cracks me up so much! It was such a nice afternoon and I really enjoyed mingling and discovering loads of local bloggers, most of which are actually really good friends of mine now! Makeup Revolution 2nd Birthday Party & I Am Freedom Final - This was my first big brand event EVER, so I was super excited to be a part of it and meet loads of new faces. Again, I also met some of the nicest girls ever at these two events and we've all hung out loads since then! 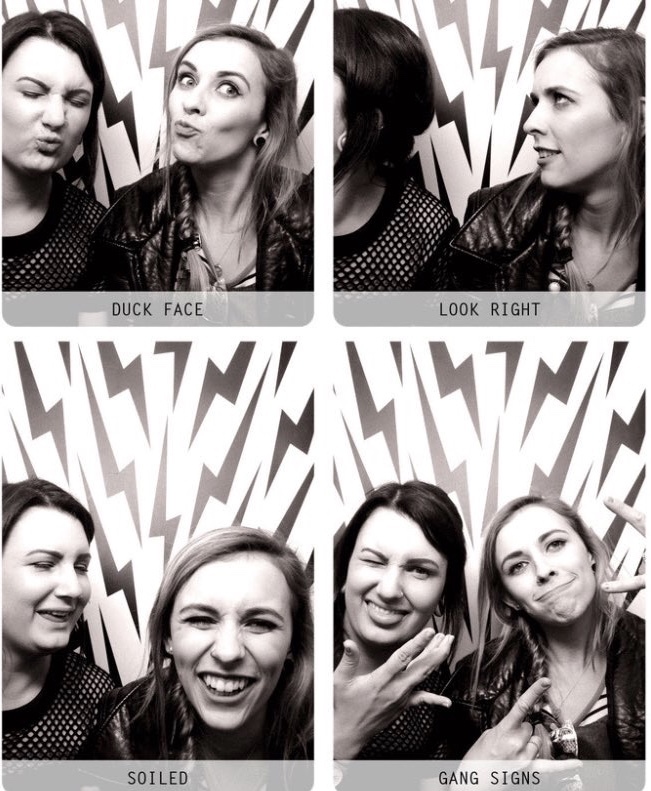 October saw the Lush Bloggers Christmas Party! Yes, it was a tad early, but so worth it! I have been obsessed with Lush for-ever, so I was SO happy to be invited. Even better that I got to spend it with some local blogger friends! The Salon Success Jingle & Mingle Event was the most recent event I went to in Brighton. It was great to hang out with some familiar faces and meet some news ones that night too. We also had a 3 course meal and got loads of amazing hair products! Of course there were many more and I've loved every single one, I've just picked out some highlights! 2016, you weren't too bad! I love this post! I really want to try the Too Faced foundation, I've heard nothing but good things about it - Slam Dunk looked incredible, I hope you had an amazing time!